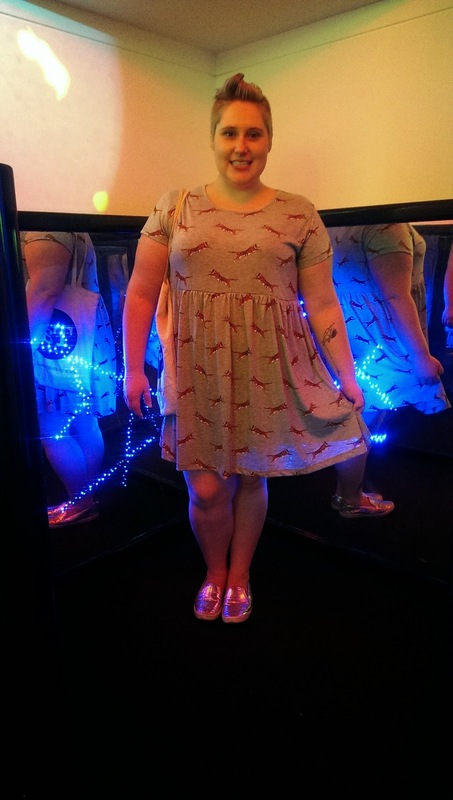 Toodaloo Katie: OOTD - Tiger-tastic! 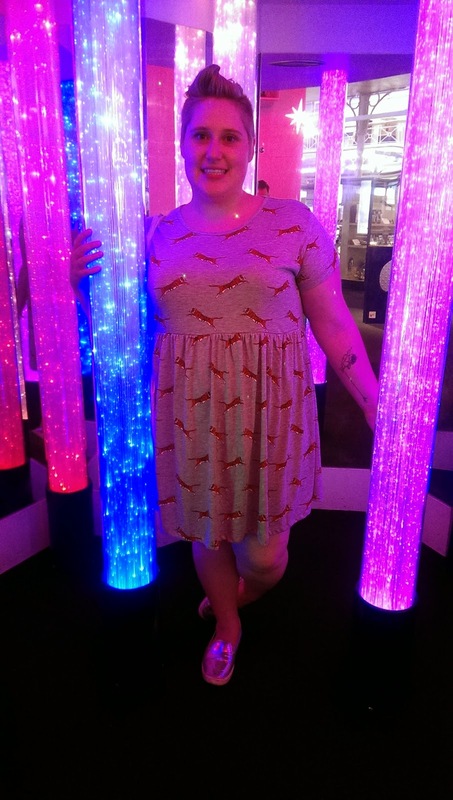 I am back with a quick OOTD post because I couldn't resist sharing this amazing Asos Curve dress that I snagged in the sale. Yes, it is covered in tigers, and yes it is grrrrreat! I wore it out to Broadway Market on Sunday where we popped in to the V&A Museum of Childhood - and it felt very fitting to the occasion. Here I am playing in the space area. The Asos sale has so many goodies in it - get in there! Ps. Don't forget the the Summer Plus Size Clothing sale happening this weekend in London!